The village of South Parkway refers to the area south of Merritt Parkway but north of Greenwich town center. This is a very highly regarded area of Greenwich. Less than a ten minuted from the heart of downtown, beautiful homes in this area are generally situated on one to two acre lots. Homes in South Parkway are for buyers with the most discriminating taste. The homes are impressive of exceptional quality. South Parkway is a community in Greenwich, Fairfield County, Connecticut. This beautiful area of Connecticut, lovingly referred to as the “Gateway to New England”, experienced a metamorphosis in the twentieth century when it transformed itself from a rural farming and fishing community to a sophisticated suburban area. With a population of roughly 61,171 residents, Greenwich is home to businessman and their families seeking a peaceful life in a rural setting. 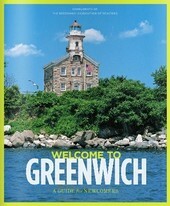 Greenwich is a bedroom community for New Yorkers. Some neighborhoods in Greenwich are: Old Greenwich, Cos Cob, Riverside, Pemberwick, Belle Haven, and Byram. Greenwich has a total area of 67 square miles with almost 48 square miles being land and a little more than 19 square miles than water. 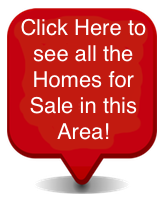 The area of South Parkway is the location of one-of-a-kind estates. Homes in the South Parkway village come in a variety of sizes and architectural styles including Edwardian manor, majestic Georgian manors, and grand colonials, just to name a few. Condominiums, townhomes, and single-family homes are all types of real estate currently available in the South Parkway market. The average listing price for a condo is approximately $1,478,394 with prices going up to $4,995,000. The average listing price for a single-family home is approximately $4,183,933, but prices can go up to as much as for $49,895,000 for homes with every amenity imaginable including his and her dressing rooms, wood- paneled libraries, guest cottages, resort style swimming pools, 5+ car garages, chef style kitchens, elaborate wine tasting cellars and the list goes on and on. Contact us today with any questions or to schedule a private showing of any of the exceptional properties for sale in the South Parkway area of Greenwich, Connecticut or any neighboring village.